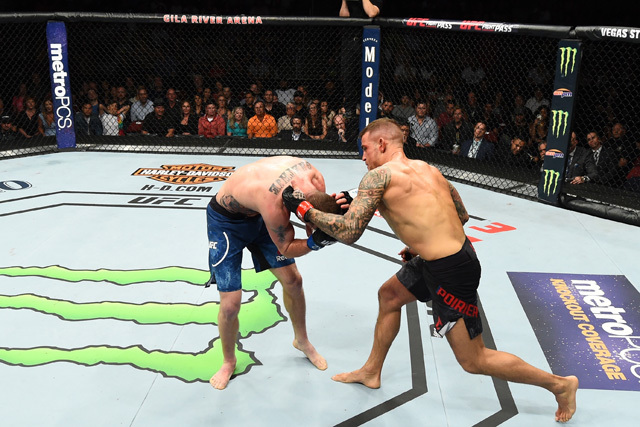 “When the dust settled from UFC on Fox 29 and the crowds vacated the Gila River Arena on Saturday in Glendale, Arizona, the main event between Justin Gaethje and Dustin Poirer was easy to mythologize. It was the type of fight that warranted clichés without any facetiousness or eye rolling. They left everything in the cage; they were fighting in a phone booth; they were warriors. It was the type of fight that made the lyrics to “Face the Pain” feel like a Homeric poem. The fight was undeniably epic. It was Gaethje’s third appearance in the Ultimate Fighting Championship, each of which has been shortlisted for “Fight of the Year.” His promotional debut against Michael Johnson last July was the consensus pick across every major MMA web site, and his December bout against Eddie Alvarez was close behind. Although there are plenty more fights to be fought in 2018, expect to see this one popping up at the end of the year. “The week leading up to UFC 223 was absolutely bonkers. 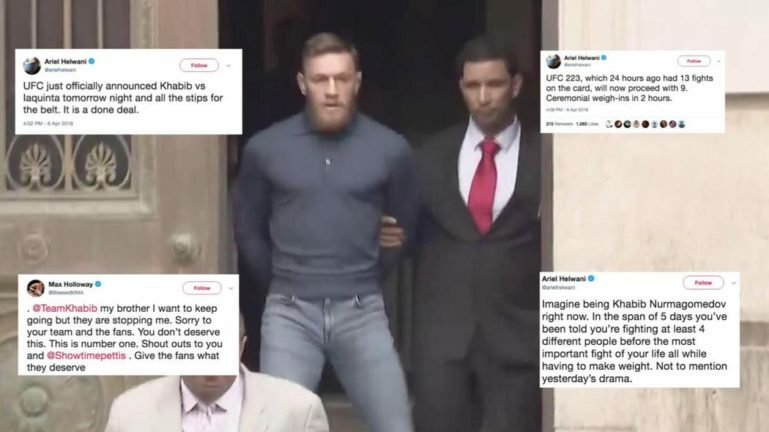 Between the musical chairs of finding an opponent for Khabib Nurmagomedov and Conor McGregor’s now infamous bus attack, there has never been a more ridiculous series of events preceding a fight card. The fact that a proposed UFC Hawaii event fell through went largely unnoticed amid the pandemonium in Brooklyn, New York. As the old saying goes: Man plans, the MMA gods laugh. In theory, a bout between Tony Ferguson and Khabib Nurmagomedov is arguably the best fight that can be put together on the Ultimate Fighting Championship roster in any division. Ferguson is a flow chart of offensive dynamism, an unorthodox and multi-faceted striker with a venomous submission game. 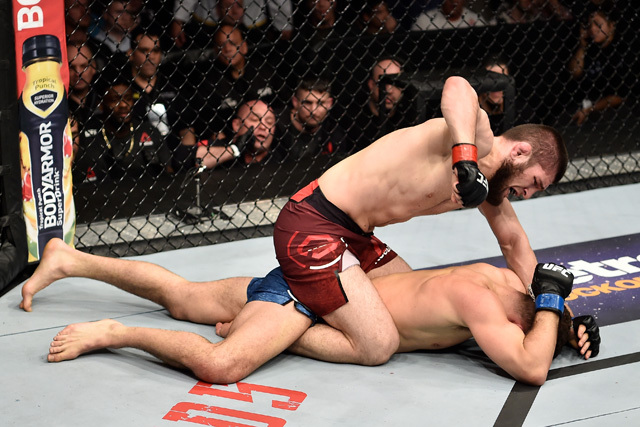 Nurmagomedov is as unpredictable as a wrecking ball — no real surprises when it comes to what he does and how he does it — and so far, he has been about as stoppable as one, too. Together they brought a total of 19 consecutive Octagon wins into the main event at UFC 223, an unprecedented number on its own but even more absurd considering all 19 of those wins took place in the most talent-rich division in the sport. The Ferguson-Nurmagomedov matchup is the best versus the best in the best weight-class. That’s rare.